"Go, my sons. Use the shadows, and keep my brother asleep." I love the techniques used here, and the heads are all amazing. These are fantastic, I'm lost for words other than look at that. Just wow. This is absolutely fantastic! Rahkshi seal of approval. Teach me your ways, these revamps are beyond superb. They are supreme! I don't think I'm gonna be sleeping after seeing Krarahk.. This will terrorize my sleep. That's SOOO scary... And the pictures are great! If these actually did show up in my nightmares, I don't think I would ever sleep again. Nightmares indeed - wait, how did you build the '03 version of Sorahk? 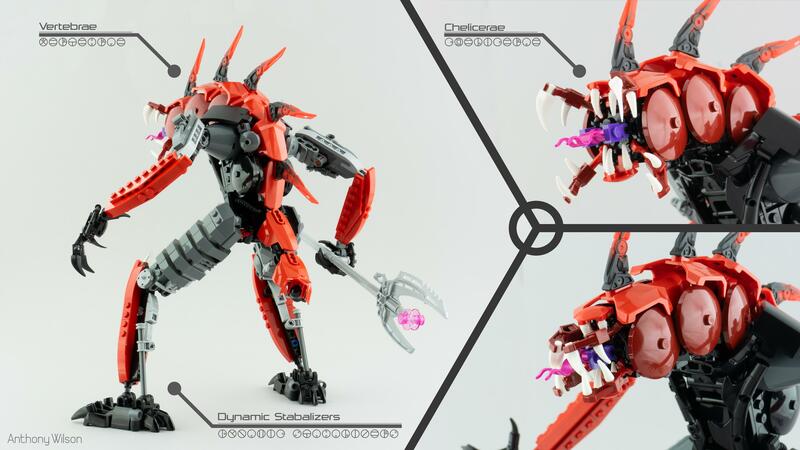 Are those all pieces we've gotten in metru red? For reasons I cannot comprehend, my last post here was flagged as spam despite being a legitimate response to these MOCs. In the spirit of constructive criticism, I'm going to reiterate that post with more elaboration. To start: Turahk is TERRIFYING here. 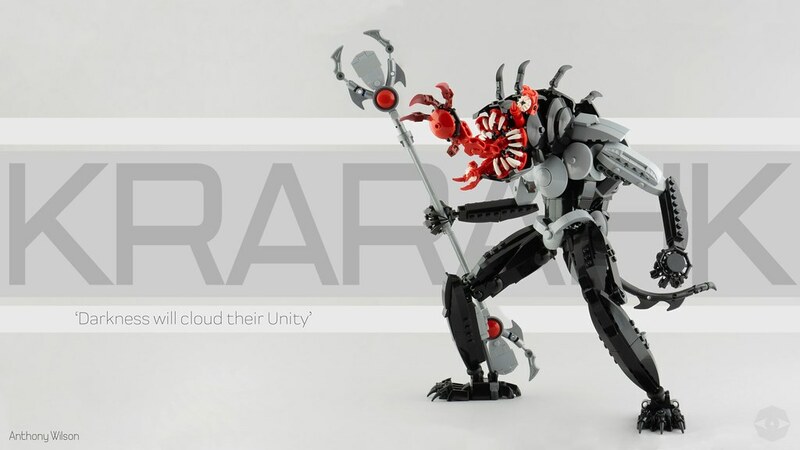 This is easily my favorite rendition of it, or any of the OG Rahkshi for that matter, that I've seen. The lack of any eyes really sells it while keeping the mouthparts similar to the designs of MoL in terms of articulation; the tongue further accentuates this effect. That being said, you'd think the Rahkshi with fear powers would be the scariest of the bunch. However, somehow, it's not. OP managed to outdo himself in the weirdest way imaginable. 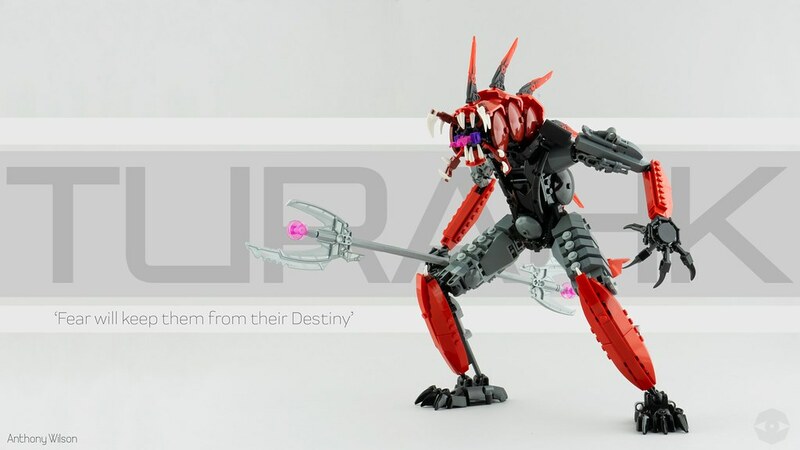 Sorahk definitely takes the cake for the most disgusting, off-putting Rahkshi design I've ever seen. 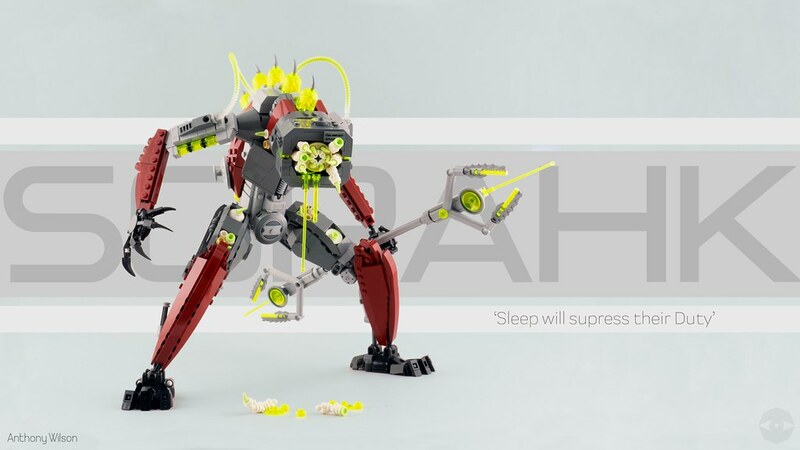 Not only does its head resemble an eye at first glance (referencing its sleep powers), but on closer inspection, it's actually got little Kraata coming out of it. The goop is...Kraata juice, I guess?...and the whole thing becomes so gross and unreadable that it's downright repulsive in a way Turahk just can't compare to. Krarahk is a close second by far, being almost if not just as messed up as Sorahk. Firstly, the shadow hand emerging from the ring of fangs is positively unsightly. I can almost hear the visceral squishing and bubbling it must make, and that's just creepy. But then there's his eyes. It took me a minute to get it, but they're actually being clutched by 2 smaller shadow hands. Once more, that's incredibly vile and disturbing. i'm pretty sure it was flagged for having the gif in there. I can't find anything in the rules that forbid the use of reaction images, only replies that consist solely of one image and don't relate to the discussion. I was making an actual point about the topic by adding a >caption. It was little more than a meme, I guess. This is probably the best post ever on this board. The pics, the presentation, the builds, the imagination, the monstrosities themselves, the weapons, just everything. That one has maggots spewing out of its mouth!! Oh. Em. Gee.